Find your car using Augmented Reality technology. 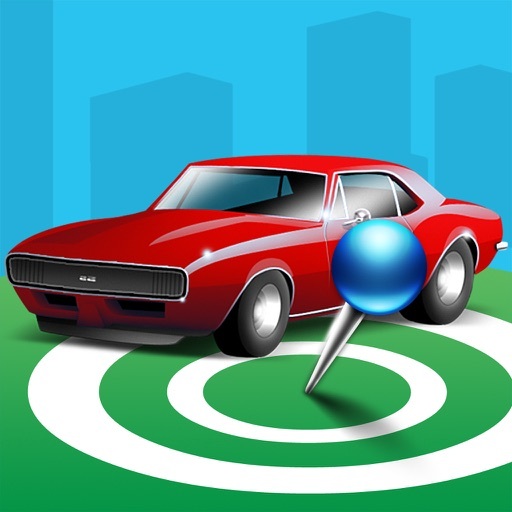 私の車を見つける GPS is a simple application that uses GPS location services to help you find your car. You will never forget where you parked! ➊ Open 私の車を見つける GPS application and save your car position on the map. You can also take a picture and associate a short description to help fully document the parking spot. ➋ To find your car again, open the application and locate your last car position on the map (different zoom levels available). The distance to your car is displayed in real time as you walk down the street! You can also see the best walking direction from your current position to your parked car. ✔ Support for iPhone 5 widescreen (16:9) display and iOS6.